Therefore it is important that you consider that if you have a new HDTV, DVD can’t offer you sufficient quality when enjoying movies. It’s time to change and make that final leap to Blu-ray. If you do not know the benefits that the new Blu-ray offers compared to DVD, you should know that the gap is abysmal from one to the other. DVDs have a limited storage capacity of 4.7 GB on a single layer disc and 8.5GB on dual-layer discs, and the data transfer rate of a DVD (the speed at which you can read ) is limited to barely 11.1 Mb / s.
Blu-rays have, however, a capacity of 25GB on a single layer disc and 50GB on dual-layer discs. The maximum transfer rate is 54 Mb/s and its build makes them highly resistant to scratches and dirt. All this means that Blu-ray movies, as well as having more definition, 1920 × 1080 pixels in size compared to the 720 × 576 pixels of the image of a DVD, can store movies with less compression, meaning more quality. This allows you to enjoy Blu-ray 3D movies, as they need more space and a higher level of detail (for both eyes) than the usual Blu-ray. Fortunately, many distributors are striving to launch Blu-ray editions of films of all eras with a picture quality never seen before. Some films with several decades behind that have been edited in Blu-ray look as if they were shot today thanks to the neat quality image that they present. The sound is another great benefit of the Blu-ray format, because while with a DVD we had to conform with DTS sound tracks of only 1.5 Mb/s and 48 kHz, Blu-rays are able to include DTS-HD tracks at 24.5 Mb/s and 192 kHz. The quality leap is amazing, and if you have good home theater equipment, you will notice the difference. Leaving aside the technical quality of the digital format, it is also interesting to know that Amazon generally offers movies and series steadily, so getting your series, movies or favorite collector’s edition is very affordable, more than you might think at first. Indeed, some collector’s editions available on Blu-ray will take your hiccups away with the impeccable presentation, numerous extras and exclusive items (another reason to buy sagas and series in Blu-ray), as well as in the case of the movie collection of Alfred Hitchcock, the master of suspense. Blu-ray format readers are not limited to playing discs of this format, some have many more functions that you might not expect to see in them. In addition to playing Blu-ray, all can play and rescale old DVD drives to fit the size of today’s TV screens, taking advantage of the quality they offer. Some are also able to resize the content to 4K / UHD, to harness the potential of the upcoming UHS TVs. Aside the physical content reproduction, there are Blu-ray player models that are able to access the network to play online content through Smart TV functions. There are also models with TDT HD tuner and recording capability, allowing you to tune channels in High Definition and record their programming on a hard drive to subsequently enjoy the contents. The vast majority has USB ports for connecting external hard drives or memory sticks and you can enjoy photos, video or music. 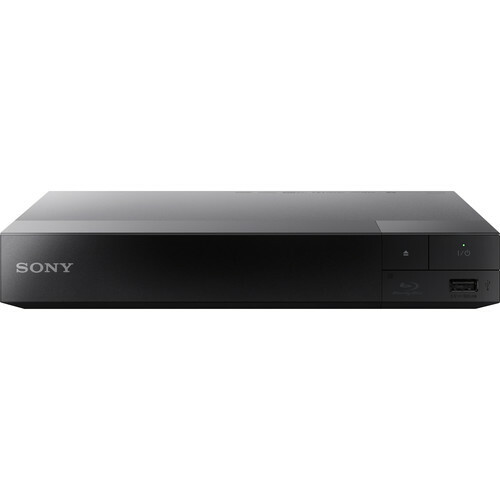 The Black Sony BDP-S3500 is one of Sony’s latest streaming blu-ray disc players. It features advanced wireless technology, which allows people to watch movies, shows and other programs from a host of streaming services such as Hulu Plus, Pandora, Netflix and others. Additionally, it can also play hundreds of PS3 games without the need for a PlayStation console (Need a DualShock 4 controller), and it can cast multimedia content from an Android compatible device through to a HDTV. The Sony BDP-S3500 weighs in at 3 pounds and measures 10.6 x 10.8 x 2.8 inches. This makes it a sleek, compact device that does an incredible amount! Obviously, the BP-S3500 model does cost more than a normal or ‘standard’ player, but the extra cost is justified. The ability to play PS4 games, and to also access PlayStation Now, means that gaming is going to be opened up to an audience who may not ever have owned a Playstation before. This is perhaps one of the first, genuine all encompassing home entertainment devices. Did we mention that it also stream YouTube, Sony Entertainment Network and videos on demand in FHD quality? All this, and output in a great range of amazing colours with the Triluminos Colour. The integration with Android and iPhone, means that your mobile phone or tablet can be connected as a remote control to the unit. There is an app which can be downloaded, which then gives you full control over the player. Not only this, but you can play the song from your phone through the player, and use the Party Mode. You can also connect a hard drive or USB drive to the player in order to display your media, and control all this from your mobile device. Using the player is very easy, and it boots up extremely quickly, loading DVD’s and Blu Ray discs in less than a second. As you might expect, the menu is intuitive and simple to use, and it also has a uncompromisable interface. The MIMO compatible connection ensures that the interenet connection is fast and stable for seamless streaming. On to the sound quality, and the Dolby Digital TrueHD offers cinematic high quality sound definition with 7.1 channels of discrete sound. The Sony player is Energy Star 3.0 compliant, which means that it will consume far less power than other similar models might both when it is playing back, and when it is in normal operation and in standby mode. Value for money?…. We think so!!! When it comes to the more expensive players, the extra money spent is usually due to the better quality CD playback, or other features. With this in mind, if you are seeking the absolute best quality video and audio playback, the $600 Oppo BDP-103D is probably the best machine you can buy. 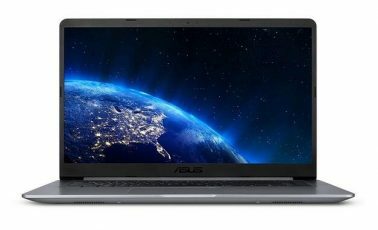 It is super versatile, has the best DVD scaling, a flawless performance, supports all known audio formats, and deals with foreign content without any issues at all. Everyone from video purists to reviewers rates the integrated Darbee video processing highly, and importantly, Oppo has vastly superior after sales service and support than anyone else. Some people just find it hard to justify the price difference though.